Montagne Souterraine unites two defining features of Montréal, the underground city and Mont Royal. By taking multiple walks on Mont Royal while carrying a GPS, I used my body to record the mountain's topography. The data from these walks was translated by software into a 3D form and made into a sculpture constructed of 1/8" cold rolled steel bar and cork balls. This project was exhibited in Montréal's Complexe Guy-Favreau during the 2011 edition of Art Souterrain. 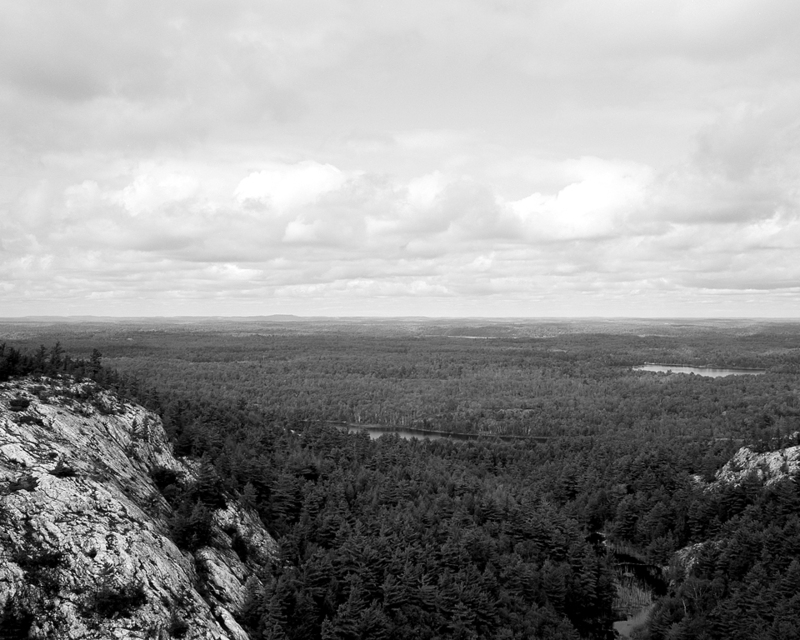 Rutkauskas's images capture the grandeur, the beauty of rugged, pristine wilderness. The pertinence of this work lies in the deliberate, subjective choice of photographing his manipulation, in choosing a specific viewpoint that has not yet been spoiled. These images provide an illusion of wilderness, as all were taken within a comfortable distance from civilization. 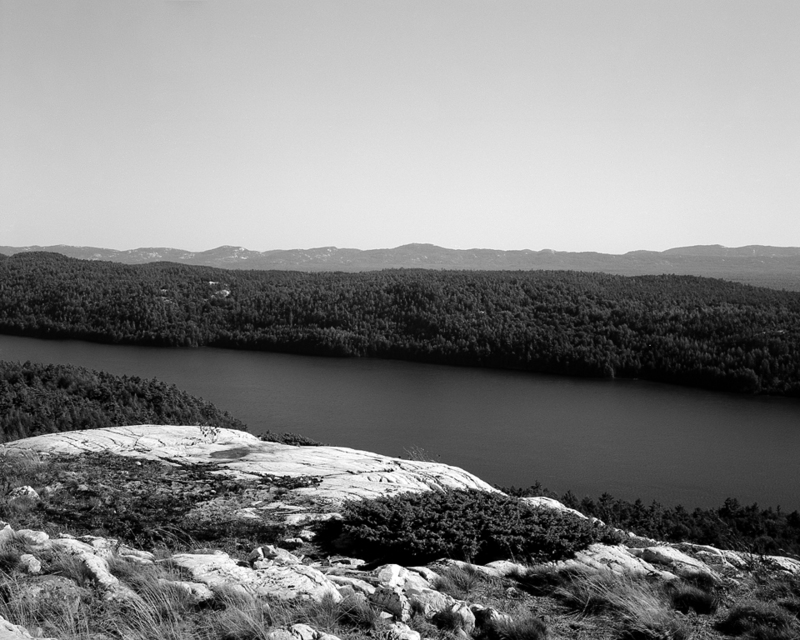 These images, made with a large format view camera in Ontario's Killarney Provincial Park, attempt to emulate the aesthetic of 19th century survey photography. 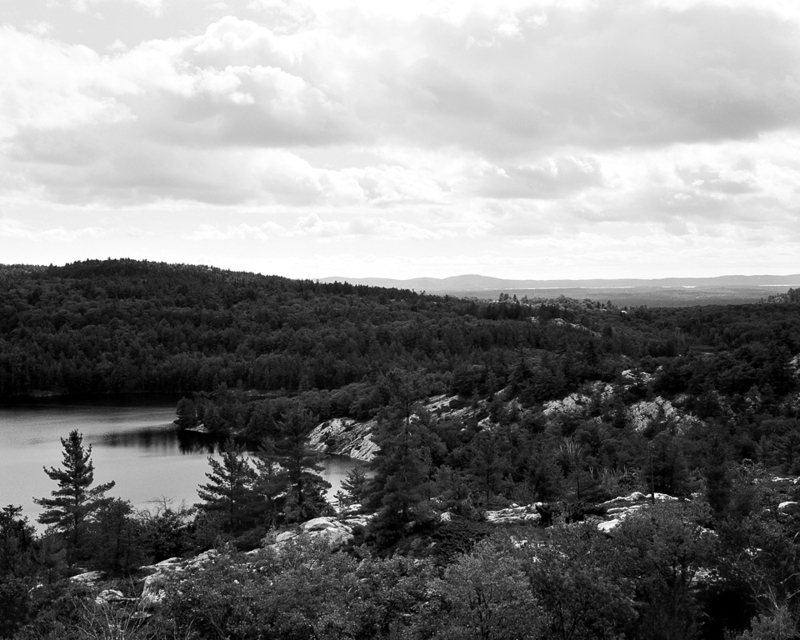 They present an idyllic landscape untouched by humans, only a few kilometers away from the nickel mines and industrial centre of Sudbury.